Bixby School > Blog > All School News > WHY is there swimming at Bixby? WHY is there swimming at Bixby? 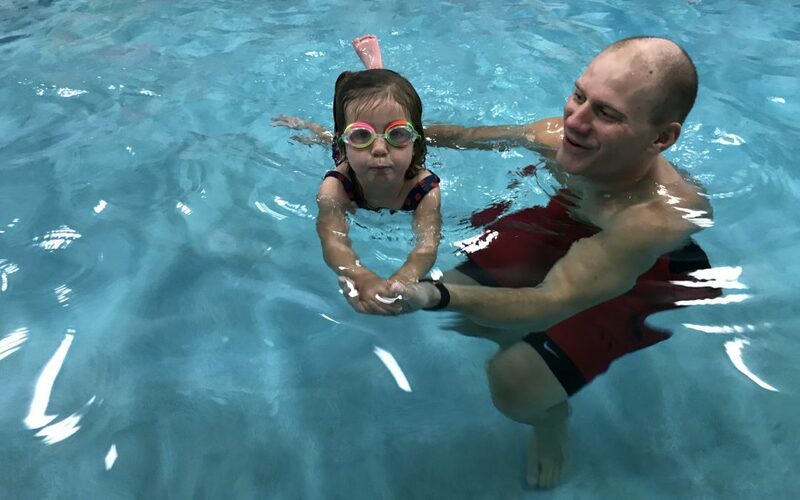 Healthy risk taking – Learning to swim can be scary and challenging at first, but it teaches kids the value of taking on challenges and persevering. Swimming requires coordination and multi-tasking, which are useful skills for students as they learn to take notes, listen to lectures and solve problems. Swimming is a uniquely tactile experience, which can also help teach small children about situational awareness and their surroundings. When they head to school, studies show that they are better prepared to deal with sensory learning as they experience new things. * The list above was created using resources found online at: Griffith University, Brain Benefits of Swimming, Swimming World Magazine, and Bear Paddle Swim School.